Home All Articles Who is most likely to replace Nico Rosberg? The bookies currently have Bottas down as favourite for the drive, however, that’s likely more due to Toto Wolff being a part of the Finn’s management team than anything else. Wolff seemed earlier this week to dismiss suggestions of Bottas partnering Hamilton next year and he may want to avoid upsetting the Williams team by snatching their lead driver. Despite beating Massa fairly regularly this year, Bottas has still not done enough in my eyes to be considered ‘World Champion’ material. If he does end up signing for Mercedes, it’s difficult to see him being anything other than a number two to Lewis initially. With 18yr old Lance Stroll joining Williams, Bottas’ experience will be invaluable, however, they could be swayed if Mercedes are willing to offer them cut-price engines as part of the deal. I’d be surprised if this happens though as I think Williams honestly need Bottas right now more than they need the cash. Currently the bookies’ second favourite to take the vacant seat. Wehrlein is a Mercedes junior driver so he was understandably one of the first names to be mentioned. He’s impressed during a tough debut season with Manor and scored the team’s only points with tenth place at the Austrian Grand Prix. 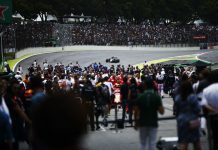 There are doubts over his temperament, however, and it’s believed he missed out on the Force India drive because the team found Esteban Ocon ‘easier to work with’. He’d certainly be a cheap option for Mercedes and would gel with their setup quickly, however, the team may be looking towards more experienced options with a major regulation change on the horizon. Without a doubt, a Hamilton-Alonso lineup would be the strongest and most intriguing on the grid. But will it happen? The odds suggest it could, but there are many angles to consider with such a deal. Firstly, many will remember what happened last time the two were paired and Mercedes’ may want to avoid a repeat – especially as their last driver pairing were far from exchanging Christmas cards. There’s also the issue of Alonso’s implication in the 2007 Spygate scandal – something the Mercedes board are still believed to be unhappy about. On the other hand, there are fewer drivers on the grid hungrier for the drivers’ title than Alonso, and you can pretty much guarantee he’ll win races from the start. Although far from the cheapest option, I feel that McLaren may actually consider a buyout of Alonso’s contract if the price is right as they do still have a title sponsor shaped hole in their budget to consider. To be honest, I think the odds of this happening are slim – much slimmer than the latest odds imply. For a start, Vettel is still under contract for another year and Ferrari still see him very much as their lead driver. Some say the relationship has cooled, but I still think Vettel is committed to returning Ferrari to the top and he himself has dismissed talk of a move to Mercedes. To be honest, I think there’s more chance of him swapping seats with Ricciardo in twelve months’ time than there is of Vettel jumping ship now. Another reason why I doubt this will happen is that Vettel has always had a team built around him. He saw how this approach benefited his idol Michael Schumacher, and he knows he’d be walking straight into Hamilton’s team were he to move now. Mark my words, he’ll still be wearing red in 2017. It’s funny how the timing of this has all panned out for Esteban Ocon. You could argue that if Nico Rosberg had have announced his retirement a month or two ago, Esteban Ocon’s name may have been linked with the drive a lot more than it is currently. As it stands, he’s signed a deal to race for Force India after a solid, if unspectacular, start to his Formula One career. I believe Ocon is quick, but I am not convinced he is ready for a Mercedes drive just yet. The rumours are that Force India found Ocon’s technical feedback to be impressive and his demeanour to be warmer than Werhlein’s – just two reasons why he, and not Werhlein, got the nod. He’s probably a good fit for Force India right now, but I just don’t see him being offered the top job just yet. His name does not appear to be amongst the favourites right now, but Sergio Perez, in my opinion, would be a great fit for Mercedes. It depends, however, if Mercedes are looking for a short-term option with a view to going after a big name for 2018. If they’re looking for someone to grow with the team, but also to be on the pace right away, they could do a lot worse than look at Sergio Perez. He has a one-year contract with Force India, so would be a reasonably inexpensive buyout – especially as Mercedes could sweeten any deal for Force India with by knocking a few million of their current engine deal. Perez has bounced back tremendously since being dumped by McLaren three years ago, and he’s arguably driving better than ever. There’s also another reason why I think Mercedes may take a look at Perez – his nationality. The bookies seem to think this is a long shot, but here’s why it makes sense. Red Bull made the decision at the start of this season to demote Daniil Kvyat and put Max Verstappen in the car after only a handful of races. It became clear to anyone who was still in doubt, that Max Verstappen is being fast-tracked to become the sole focus of Red Bull’s F1 operation – much in the same way that Sebastian Vettel was. He may already be for all we know. Sainz on the other hand had cause to feel disappointed that he was not the one to have earned promotion. His reaction to this setback though was remarkable. Whilst Daniil Kvyat appeared to implode in front of our very eyes, Sainz upped his game and trounced Kvyat so badly that many were suggesting Kvyat’s F1 career could be over. The problem for Sainz now is that there appears to be nowhere for him to go. I’d argue that he’s done enough already to earn promotion, but Red Bull have no place for him. Hence, if I was Carlos Sainz I would be thinking about a move elsewhere. He’s a likeable guy and is unlikely to upset Hamilton too much, plus his form this season suggests he’d be a more than capable number two driver in the short term. Red Bull may just want to hold to Sainz for another year though, if as I suspect, Ferrari come knocking on Ricciardo’s door in twelve months’ time. Unlikely. One look at Jenson’s body language suggests he has mentally checked out and his ready for a break. If you really want to clutch at straws, I could offer you two major positives for Mercedes signing Button. 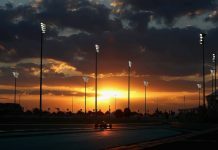 Firstly, he’d be unlikely to upset Hamilton in the way a driver like Alonso or Vettel might, and secondly he may even accept a one-year deal as a fairy-tale swansong of sorts. In reality though, I don’t see this happening and I still stand by the opinion that we won’t see Jenson Button in a Formula One car again. Those stunning results at the beginning of 2016 seem a long time ago now. Since the summer, there’s been a lot of criticism of the car and not enough races where he’s looked comfortably quicker than Gutierrez. I think unfortunately Romain has missed the boat now to be seriously considered by a team such as Mercedes. Yeah, I know he’s quick, German and seems like a great fit etc but this deal simply won’t happen. Nico’s signed a contract with Renault already and there’s no chance of them letting him go – especially as they lost Magnussen and missed out on signing Perez, Bottas, Ocon and The Pope. They’ve got their guy now, and he’s staying put. End of. Won’t happen. Whatever you might think about Max, Ricciardo is still the quicker (just) of the two and the more likely to take the fight to Mercedes over the course of a season. Besides, if Ricciardo were ever to leave Red Bull, I just don’t see him being a fit for Mercedes corporate culture. Again, this is not happening either. Who sets these odds? Do you really think that Red Bull are going to let go of their prize asset? Max has so much unfilled potential and being as young as he is, Red Bull’s audience can relate to a guy like him so he fits perfectly with their long-term marketing strategy. Sorry to disappoint but Max is staying put. All odds taken from Skybet and were correct at the time of writing. Next articleMeet the Fantasy GP Champions!